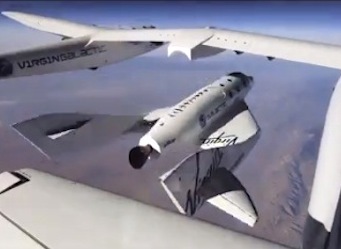 Land Rover has signed on as the first brand partner of commercial space venture Virgin Galactic. “I can’t think of a better partner to help in making this a reality,” Sir Richard Branson said in a recorded statement. And here’s a short film from Land Rover made for the announcement. Further reading: an interview we did a while back with Stephen Attenborough, commercial director and the first full-time employee of Virgin Galactic.